Welcome to Canandaigua Fishing. My name is Paul Nagel and as your licensed guide, my goal is for you to have fun and enjoy fishing as you never have before. 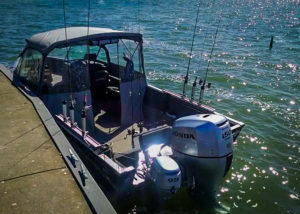 With over 20 years experience fishing the clear fresh waters of New York’s Finger Lakes the majority of my time has been spent on Canandaigua Lake. Over time I have developed knowledge and skills unique to Canandaigua Lake which have earned me the respect of both local and vacationing enthusiasts. 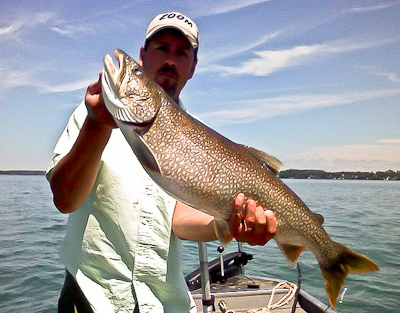 With its top quality waters and diversity of fish (Lake Trout, Rainbows, Large Mouth, Small Mouth, and more) Canandaigua Lake is indeed “The Chosen Spot”. Full and half day charters are available. Contact me today to make your reservation for an angling experience not soon forgotten! Check Rates and Book Your Charter Today!